While pursuing a bachelor degree in industrial engineering I was first exposed to forecasting in an inventory control course I took at the time. After working 3 years as a planner engineer in oil and gas industries, I decided to pursue a 2-year postgraduate qualification in Industrial engineering in 2005. I chose the area of intermittent demand forecasting as the topic of my dissertation and conducted my research in a petrochemical company that were interested in integrating forecasting within their existing spare parts management system. The first forecasting paper I read when starting the project was that of by Syntetos and Boylan (2001) on intermittent demand forecasting. While writing my research proposal, I contacted Aris Syntetos for some clarifications. I was impressed when I received a comprehensive response to my questions within few hours. Since then I kept in touch with Aris and he has always been inspiring and encouraging. That was my first experience with forecasting practice which was very exciting and enriching. It was around that time that I decided to pursue a PhD and consequently started looking for financial support. In 2010, I received a scholarship to pursue my studies in France. In January 2011, I joined the PhD program at University of Bordeaux under the supervision of Zied Babai and completed my research in the area of demand forecasting by aggregation in December 2013 This is how a became a forecaster. I continued working in the area of forecasting and information sharing and their interface with some other operational research problems such as picking, cross-docking and optimization in Ecole Centrale Paris as a postdoctoral researcher in a project with Faurecia. I worked in this project till June 2015 and gained a great experience in working with logistics and manufacturing experts in the auto industry. In August 2015, I moved to the UK and joined Coventry University as lecturer for 1 year before moving to Cardiff Business School, Cardiff University, in December 2016 as an Assistant Professor in Management Science. 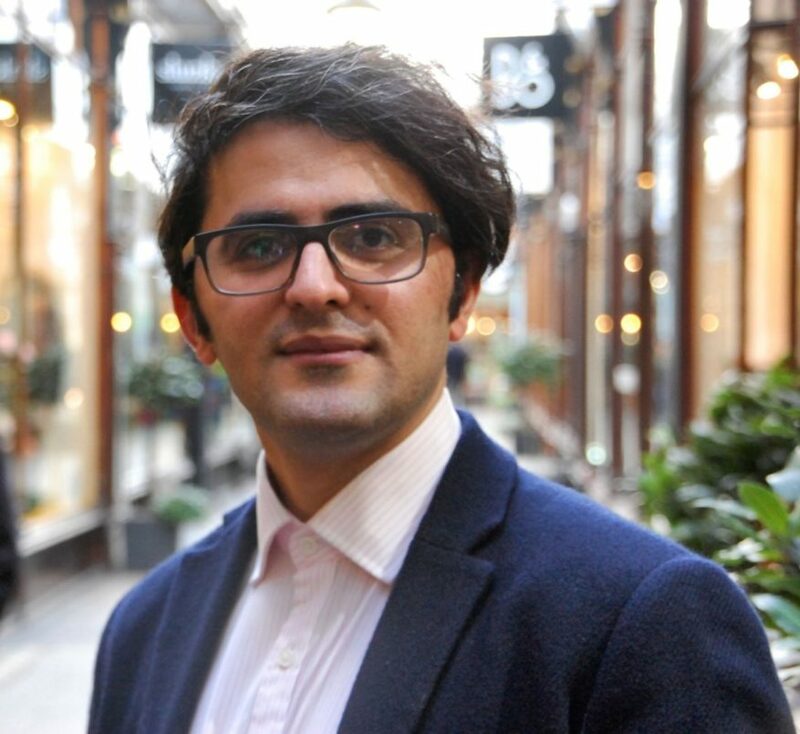 One of the main motivations to join Cardiff Business School was their strategy and focus on public value and the School has enabled me indeed to pursue my interests in forecasting and analytics that focus on social impacts. How has the International Institute of Forecasting influenced you? Being a Kurd, I have a very good understanding of equality related issues. I am always personally motivated to think of how I can contribute to the world to make it more equal and a better place for everyone to live, by offering my knowledge and experience. This is how I started thinking about how the forecasting community can do more. I came across the ‘workshops’ initiative of the IIF and after discussing my ideas with some of the Directors I was encouraged to submit two proposals to the Institute. Both proposals were received with enthusiasm from the IIF board and both were agreed for funding. I am grateful to the IIF for this support as I am sure that these projects will shape my future carer and have a huge influence not only on my own research but also that of others at a global level. The first initiative called ‘democratising forecasting’ aims to make forecasting and data analytics accessible to a wider public through delivering a series of workshops in some of the world’s least developed countries to train the trainers and help organizations use forecasting as an effective tool to support decision making. The first workshop took place in Tunisia in January 2018 and was a huge success. (I have received very encouraging messages and with few of the trainees that attended the workshop, we are going to create a group that delivers more workshops at the national level.) The second and third workshop will take place in Kenya and Uganda in April 2018. The second initiative is called ‘forecasting for social good’. This will be a one-off workshop (mini conference) to take place at Cardiff Business School in the summer 2018. The event will bring together academics and practitioners interested in all aspects of forecasting that may contribute to social good. I would like to thank very much Rob Hyndman (Editor In Chief of the International Journal of Forecasting, IJF) for encouraging me to organise such a workshop and for agreeing to run a special issue of the IJF in this area. We have also been invited by Len Tashman (Editor In Chief of Foresight) to run a special issue in this area for Foresight. Len is also one of our invited speakers in the workshop. I am interested in research on supply chain forecasting and forecasting for social good and the interface between forecasting and decision making. I have examined in detail how a data transformation approach (Temporal Aggregation) may improve forecast accuracy and utility. One of the key objectives of my research is to use Operational Research techniques to improve decision making in organizations with social missions, thereby positively contributing to advancing knowledge in the field of forecasting practice for social good. My goal is to influence relevant practices and to that end I have started working with organizations which are concerned with the social impact of forecasting such as NHS (National Health Service). Additionally, as a follow-up to democratising forecasting initiative, I would like to establish an international network which conducts research on forecasting for social good focusing on the least developed communities. When I’m not in the University, I like hanging out with friends, going to concerts, cooking, traveling and reading. I also run an association supporting research for women in science and engineering in the least developed communities.